Chronicles the tumultuous Algerian struggle for independence from the occupying French in the 1950s. As violence escalates on both sides, children shoot soldiers at point-blank range, women plant bombs in cafés, and French soldiers resort to torture to break the will of the insurgents. 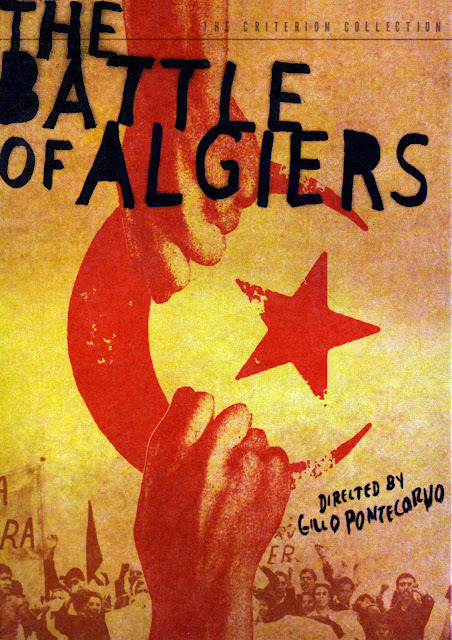 The Battle of Algiers is a film by Italian director Gillo Pontecorvo. 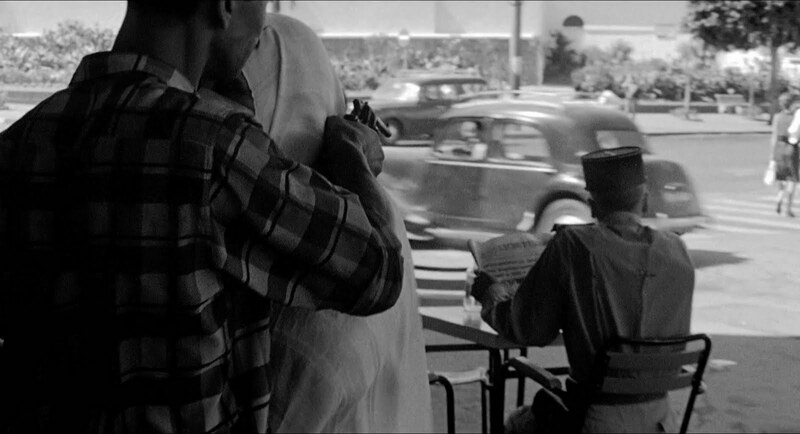 It premiered at the 1966 Venice Film Festival, winning the Golden Lion for best film. The film is based on events of the Algerian war of independence against France, focusing mostly on the 1957 guerrilla campaign led by the FLN that took place in the capital city Algiers. 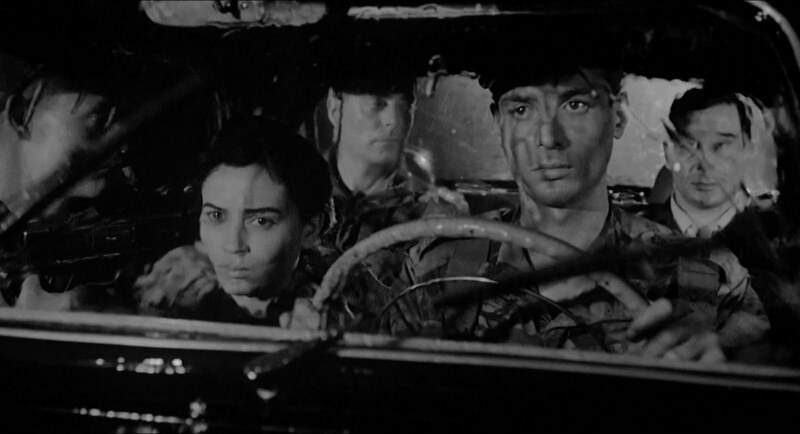 This film is remarkable for several reasons. Firstly, how astonishingly realistic it looks. 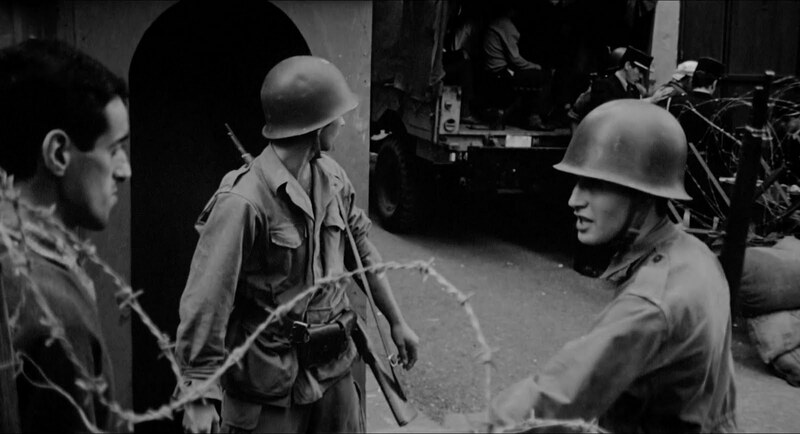 I've read that there used to be a disclaimer at the beginning of screenings stating that none of the footage is from archives or newsreels and I can understand why. 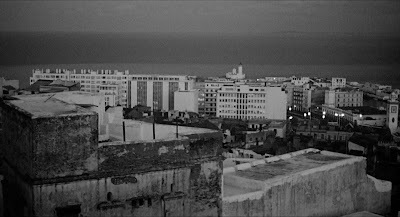 It is shot with a grainy hand held camera that seems to bring the images to life. There are multiple scenes in this picture featuring massive crowds of protestors that look exactly like something you would see on the news and Pontecorvo captures the rage and energy of these crowds with an intensity that makes it easy to forget that all of it is staged. There are other scenes showing explosions in crowded places with effects so real that I would be surprised if nobody actually got hurt while filming, and I'm sure no production could pull those sequences off today without CGI. Also contributing to this realistic feeling are the natural performances from the entire cast of mainly non actors, with the lone professional actor being Frenchman Jean Martin who plays the role of the commander of the French paratroop force. 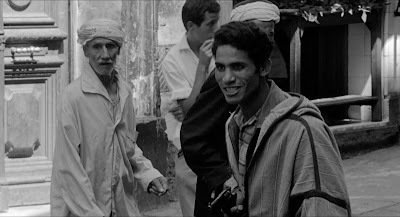 His counterpart is young revolutionary Ali La Pointe (Brahim Haggiag), who we watch rise from a petty street criminal to become a leader of the resistance. 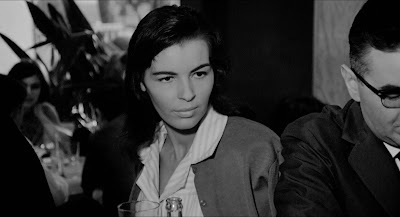 Ali is the only character in the film to really get any development, but one look at the faces of each of the other characters is enough to tell us their stories. These are people who lived through the real events only a few short years before the film was made and Pontecorvo is able to effortlessly draw this out of them. Another is the unusually balanced nature of the story. Though not entirely unbiased, it was after all financed by the Algerian government and there is no doubt what side the director favors, but there are no archetypical heroes and villains, just men and women on different sides. Both sides are shown committing whatever atrocities they must to win, whether that be bombing civilian cafes or torturing captured prisoners. No one's hands are clean and all of it is shown with a level of brutal detail that declares that even if one side does come out on top, it comes at an awful cost. The other thing I noticed while watching this, is how little the world has really changed. These images and actions are still so relevant today, over 45 years later. 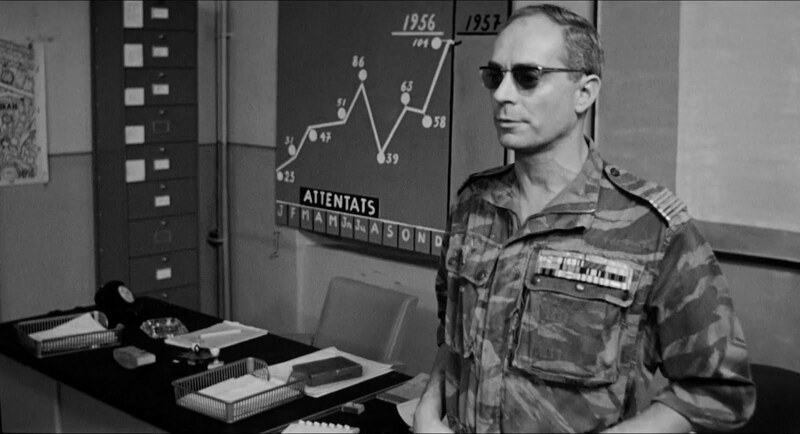 The conditions, struggles, and tactics portrayed in this film are the same as those in our current day conflicts. It is no surprise that various revolutionary groups and even the Pentagon have used this film as a training guide for modern urban warfare. 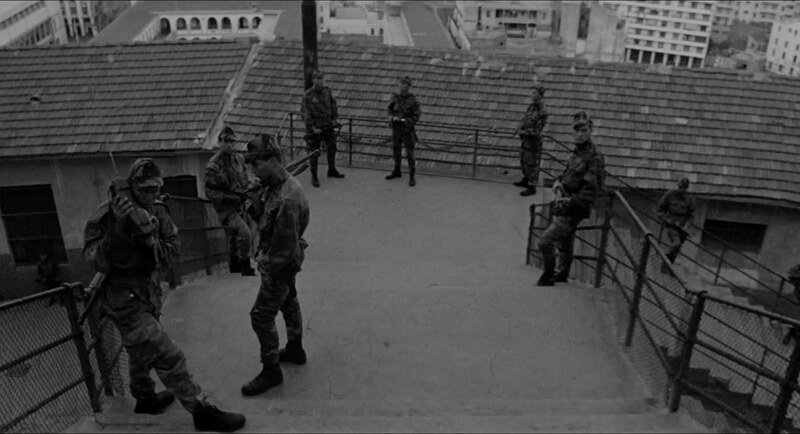 The Battle of Algiers is a must see film, a landmark cinematic accomplishment that is quite possibly the best documentary drama ever created. One that resonates the same today as it did in 1966. Check out the recently issued Blu-ray from the Criterion Collection, for a beautiful restoration of the picture and Ennio Morricone's score. It is in the next films I am going to watch soon! I've read somewhere that at the time it was in theaters Activists were taking notes on how to organize a revolution while the film was playing. They thought it was a documentary! I'll get back to you after my viewing. An epic movie, really liked it. 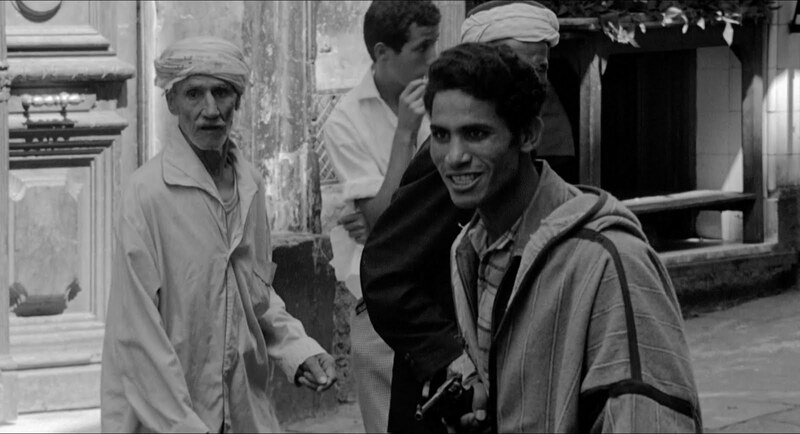 Caught this film when I was a teenager and was blown away by its dry, gritty documentary look and feel in and amongst the narrow claustrophobic streets and alley ways of the Casbah. A style I haven't replicated until 'Threads' came across the pond from the UK in 1984 and even that fell a bit short. You're right. It could have been shot almost fifty years ago. Or last month. Which is a large part of this gem's power. I watched this film a couple of years ago and was just mesmerized by how real it felt. 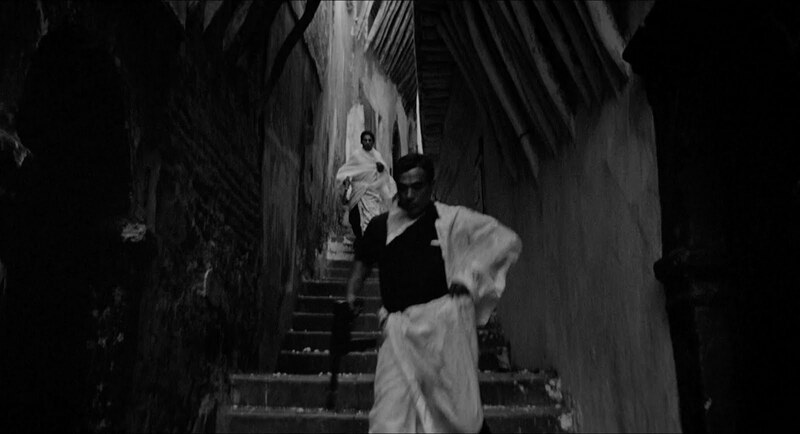 The scene where this Algerian woman drops a shopping bag onto some place with a bunch of French people. She then leaves and the bag explodes. I was in shock. It was presented as if we the audience are part of this conflict. This is definitely one of the best films ever made. You've turned this one into an instant 'must watch' for me. I'll lose myself in it. I can definitely see why you call this a must see film. It looks interesting for sure. Sadly, i don't know where i could find it (to watch it) besides the internet. Also i really like your theme. I've not heard of Threads before but faux nuclear holocaust documentary sounds very interesting. Thanks for mentioning that. 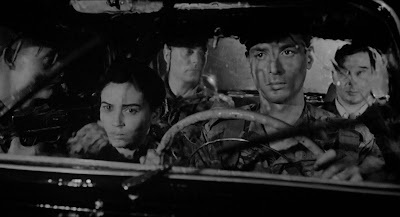 That whole sequence was so amazingly detailed, starting with the women getting ready like they were preparing for a date or something, all the way through to the panning around the innocent civilians before placing the bombs. Absolutely gripping. Ah, I didn't realize that, but remember now that you mention it. It fits in perfectly with the guerrilla tactics used by the Basterds. Extremely interesting! I'll have to add it to my must watch list. Can't help but fall in love with movies like this. Absolutely LOVE the blog. Follow'd! I really wanted to see this recently, especially with Criterion re-releasing it for Blu-ray (I'm a sucker for Criterion). I always thought it would be a little boring, but your review makes me believe that it's so realistic that it's hard to be boring. Maybe I'll pick it up during the next B&N sale. I appreciate the follow, do you have a blog too?